Dr Gwin. is a board certified veterinary ophthalmologist. 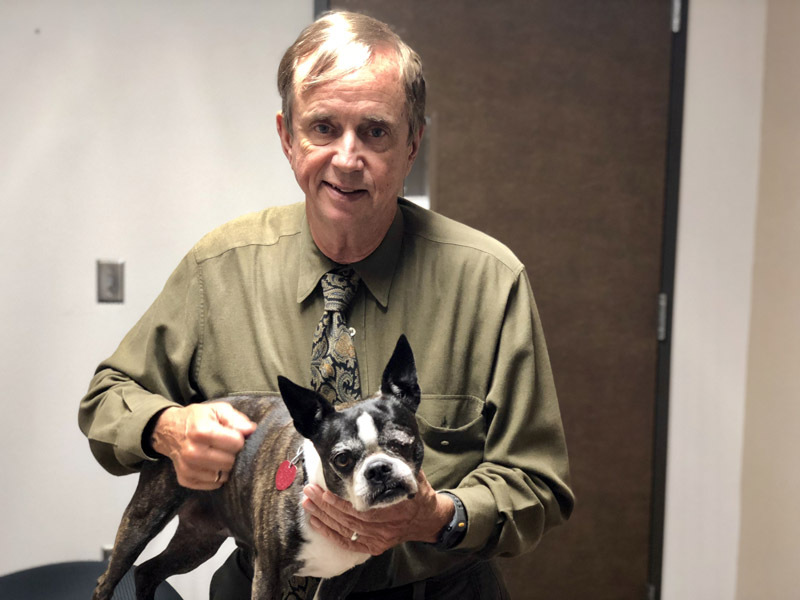 He graduated from veterinary school at Oklahoma State University in 1973 and went on to obtain a Master’s degree in veterinary ophthalmology along with board certification. He was on staff at Ohio State University and the University of Florida before returning home to Oklahoma. Dr. Gwin. has practiced in Oklahoma City and Tulsa for over 30 years. He is proud to have over 30 published research papers and to have been a National Institutes of Health research fellow studying primary glaucoma in dogs. He wrote early articles defining inherited corneal endothelial cell dystrophy in dogs, idiopathic exudative retinal detachment, primary lens luxation and secondary glaucoma.